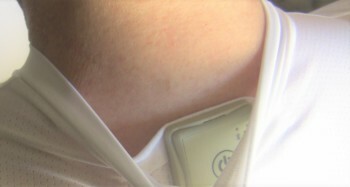 Smart-Shirt with 5 sensors along the spine for the most accurate posture training and tracking. Free Apps for iOS and Android phones, tablets, and Windows computers. Real-time display of posture and reference. 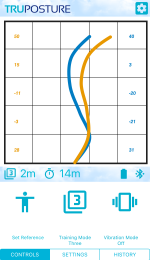 Visual and vibration feedback lets you know exactly where your posture needs correction. User friendly with 3 training levels, training timer, auto shut-off, and 3-step interval training. 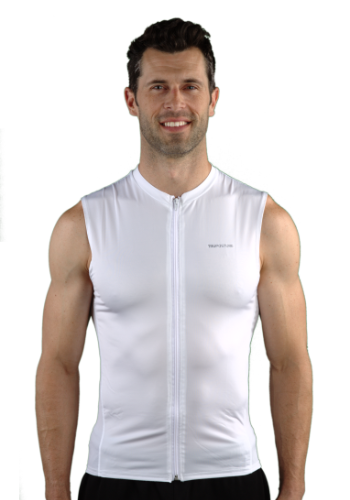 Comfortable lightweight shirt with separating zipper for easy wear. Rechargeable battery with convenient USB charging. The TruPosture self-contained smart shirt with embedded sensors, controller, Bluetooth, recording memory, and rechargeable battery. 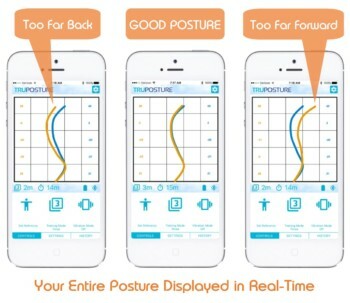 Free download of the TruPosture Apps for iOS (Apple), Android phones, tablets and Windows computers. Train for a good posture almost anywhere. 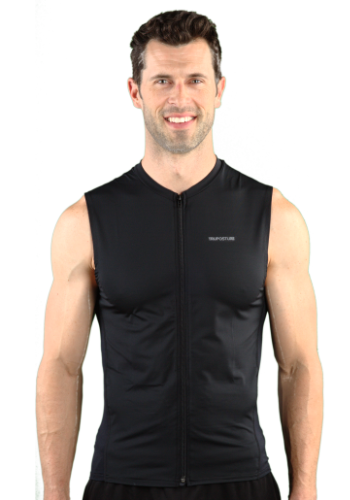 Wear the form-fitting smart-shirt comfortably under your regular clothing discreetly. No guesswork – get unrivaled accuracy from five sensors strategically located along your spine. 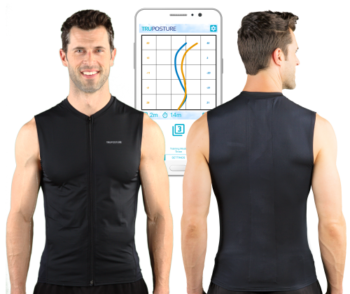 Save multiple postures, track your progress, and record your posture over time. 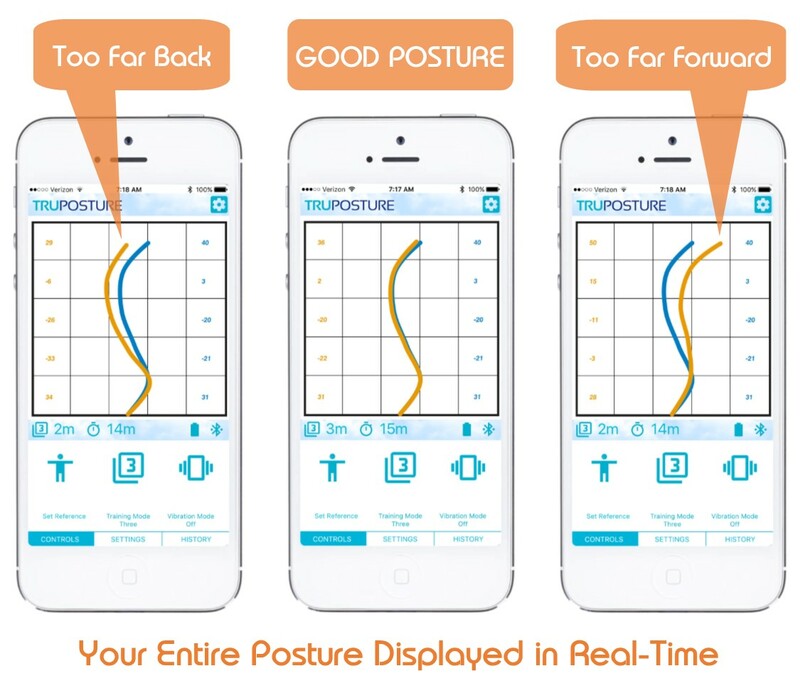 Share your posture data with healthcare professionals. 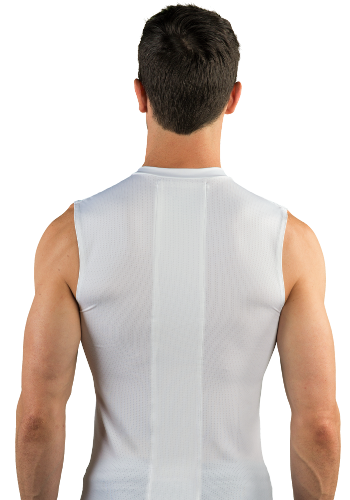 How can wearing the shirt regularly lead to reduced back pain? 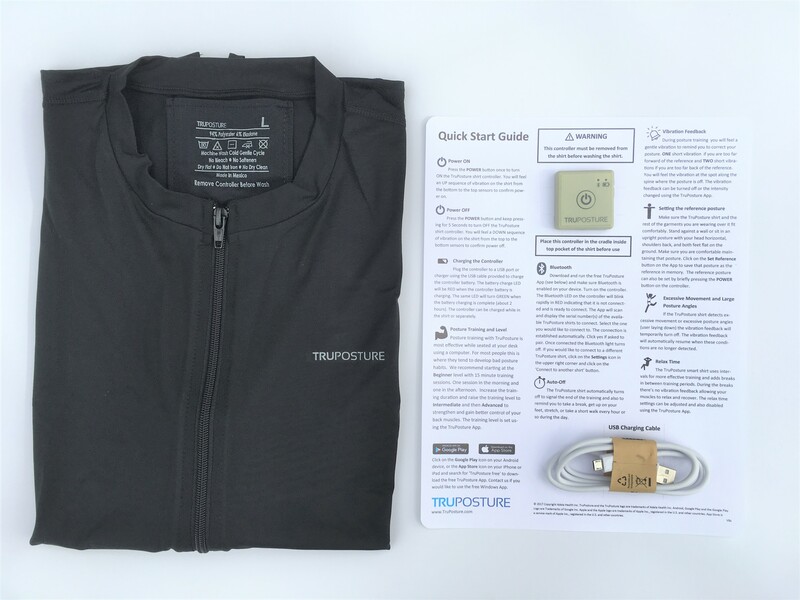 TruPosture helps by reminding you to correct your posture whenever your posture deviates from your pre-set ideal. By engaging your core and dorsal muscles to correct your posture, you will strengthen them, as well as develop a good posture habit. Having a strong core and dorsal muscles takes the stress off your spine, the source of your pain. 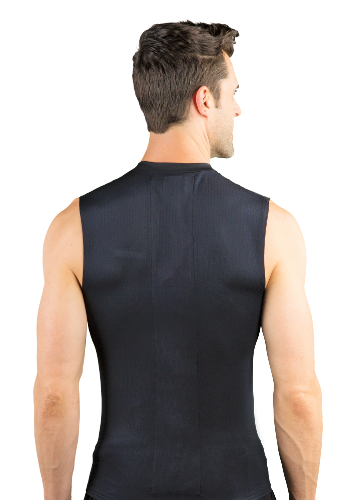 We recommend routinely using the shirt for several weeks until the muscles strengthen, and healthy posture becomes a habit. After that we suggest you periodically use the shirt to reinforce the habit. In the long term, maintaining a good posture will keep those muscles strong, and keep the stress off your spine. How does it compare to sitting on an exercise ball? An exercise ball is effective but will not tell you if your posture is correct (the two curves of the spinethat form an “S”). The first thing you notice when you sit at your desk with the TruPosture shirt on is that to maintain a correct posture you now have to adjust the environment around you to accommodate your healthy posture (chair, monitor, etc), whereas before you were sacrificing your posture to accommodate the “bad” environment around you. Copyright 2018. Adela Health Inc. | All rights reserved.